This quilted pouch is a square shape with a zipper running diagonally across the front. A great small pouch to carry whatever you don't want lost in your backpack. 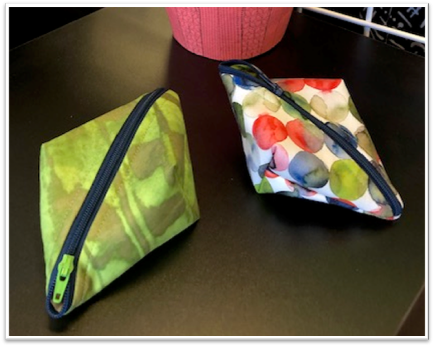 With 2 squares and one zipper you will make 2 pouches, reverse the triangles and your pouches will look different. This project is sew much fun!